Having a brother that travels to Japan certainly has its perks. 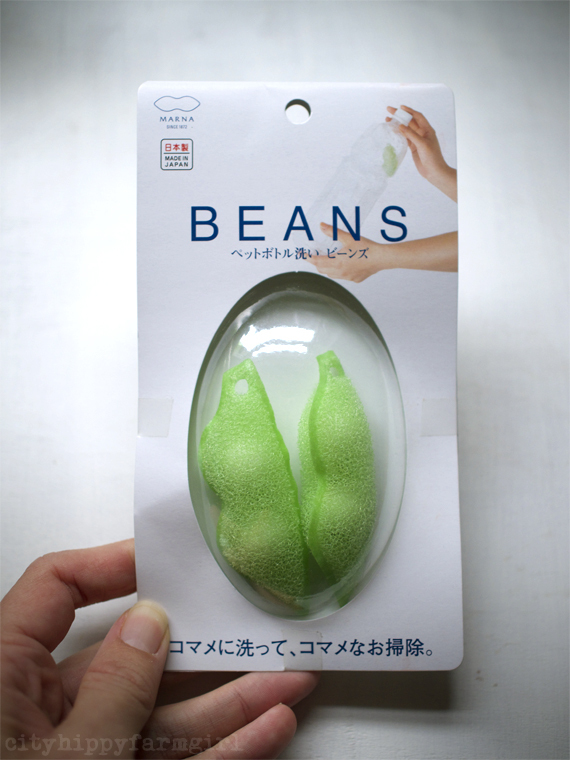 The kids get Pokemon cards, and I get Bottle Cleaning Sponge Beans. Now what on earth are they? I might hear a few of my loyal readers whisper? Well if you haven’t encountered the handy kitchen edamame bean before, allow me to show you. Basically it’s a bottle cleaning device, (that I love to bits.) Cleaning bottles with a narrow neck can be a bit tricky, especially when I’m brewing things like kombucha. I don’t strain it before bottling, so the floaty bits can get stuck on the side, making it tricky to clean. And that’s it, you’re done! Floaty caked on kombucha bits all gone and bloody brilliant they are! Now if you don’t have a kind younger brother getting these things for you from Japan, I would recommend looking them up and finding a local company that stocks them. 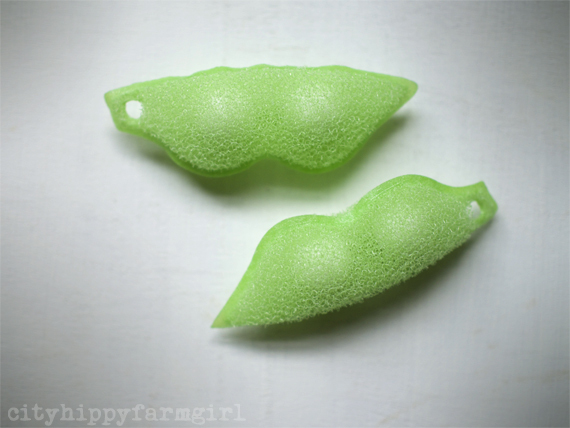 This entry was posted in Going Green and tagged bottle cleaning, bottle cleaning sponge beans, ceramic, edamame, green cleaning, japanese, sponge beans by cityhippyfarmgirl. Bookmark the permalink. Very cool…who would have ever thought? These sound great – Brydie – will have to see if they are available over here. AWESOME! Calling my mates in Jap-land now. Need in my life. 🙂 Fab idea, thanks for sharing lovely! Wow. I would never have thought of such a thing. I sort of still doubt…I want to see one in action! Nah don’t doubt Sara. I’m not going to put it on here if it wasn’t most excellent. Very nice and useful. Is it for steel bottle too? Well goodness me. I have a bottle brush I scrub with and sometimes I resort to a steradent table, the almond milk bottle and my sourdough container need such a scrub. I think I will get me some beans! Fermentation can be sticky business can’t it.